jenna laughs: "people spread awesome content"
My job has been keeping me busy lately, which is great! I am loving every minute of this busy summer season with lots of tourists coming to Southern Delaware and our lovely beaches. 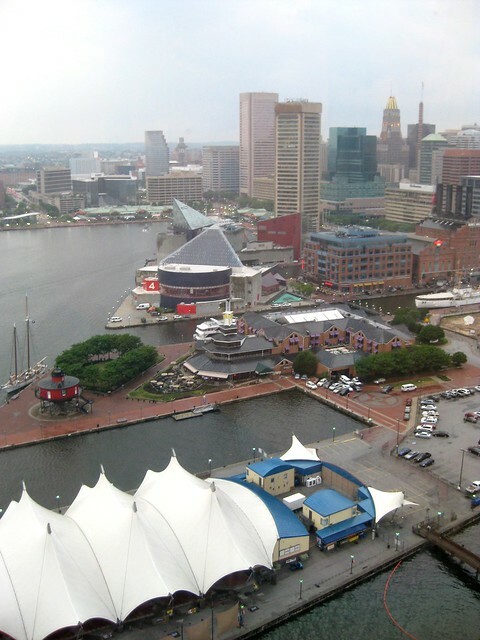 Last week, I attended a marketing conference in Baltimore, Maryland at the beautiful Marriott Waterfront hotel in the Harbor. It was my first time spending the night in a hotel alone! I am always with friends or family... never by myself. My biggest dilemma was picking which bed to sleep in - the one by the door or the one by the window. It's a pretty major situation, right? I ended up eating room service for dinner and watching TV in the bed by the bathroom, then sleeping in the bed by the window (read: air conditioning). Win/win. 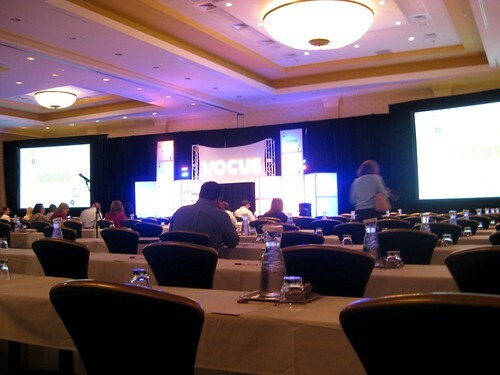 The conference was put on by Vocus, the PR software we use at work. It was mostly all about social media, which was awesome for me. I am in charge of the Twitter account for Southern Delaware Tourism, and updates on our website. But the older people in the room kept shaking their heads and muttering to each other, "What is a re-tweet?" 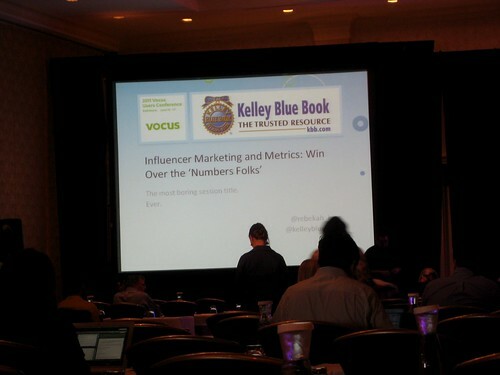 I was in a room full of 400 marketing pros for 2 days. I learned that marketing people are pretty cool - they are creative and love technology. 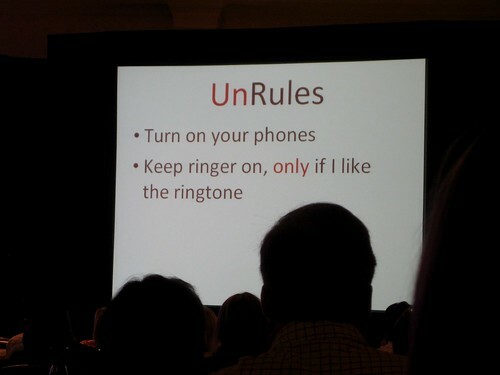 Nobody said, "Please turn off your phones." It was all about us turning ON our phones so we could take pictures and tweet about it. That is my kind of rule. One of my favorite speakers was the first keynote, Scott Stratten. He talked about how we should focus on quality, not quantity. People don't spread things that are mediocre across the web, they spread things that are awesome. Marketing used to be email based, but now we can "like" things on facebook and tweet about things on Twitter. People share raw opinions in real time through social media, it's an amazing thing if you can harness it and use it. It was great information. So great that I typed up an 8-page report from my notes to hand in to my boss on the following Monday morning. The Social Media Director from Kelly Blue Book was there talking to us about measuring our goals. 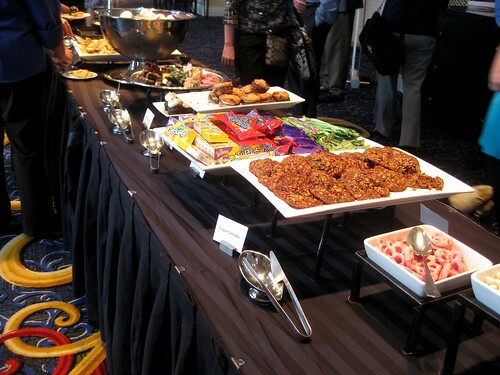 If you're anything like me (which you are because you are a food blog junkie too), you are probably wondering about the food at this conference. Well, let me tell you - it did not disappoint. 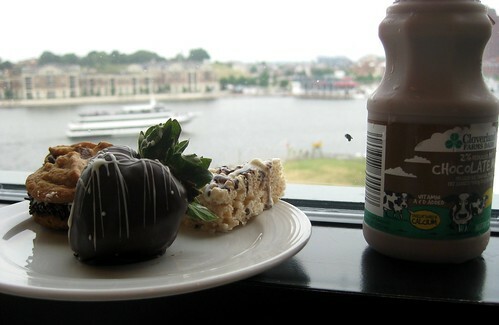 Chocolate covered strawberries, rice krispie treats and chocolate milk... I was all over that. And of course I took an artsy picture by the water. You're welcome. Lunch was a 3-course meal. 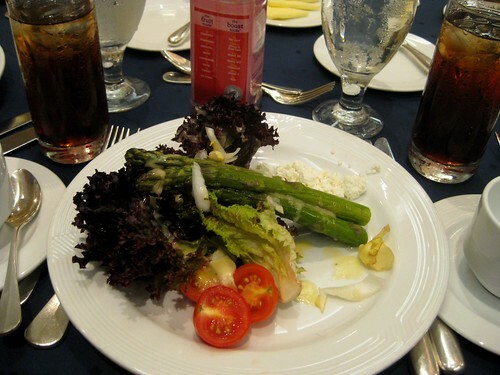 Salad with fresh asparagus, tomatoes, goat cheese and lemon vinaigrette. Mustard chicken with roasted tomatoes and risotto. Chocolate dipped mini cheesecake with chocolate sauce. The view wasn't too bad either. A+ Baltimore. I had the pleasure of meeting the event planner and logistics wonder woman, Susan Brooks. She did a wonderful job with this conference. If you ever need help planning a corporate event on the East Coast, she is your woman. Be back to our regularly scheduled program soon! Hope everyone is having a wonderful summer. Wow, what a cool job you have! Sounds like a super interesting time and a lil vacay to boot (if comfy hotel beds and free food count as a vacay). 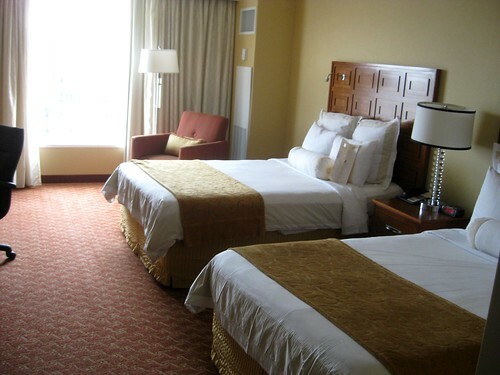 Deciding on which bed is always easy for me...sleep on the bed closest too the bathroom ;) I drink too much water! Wow! Thanks for the shout out Jenna! You Rock! What a fun conference. 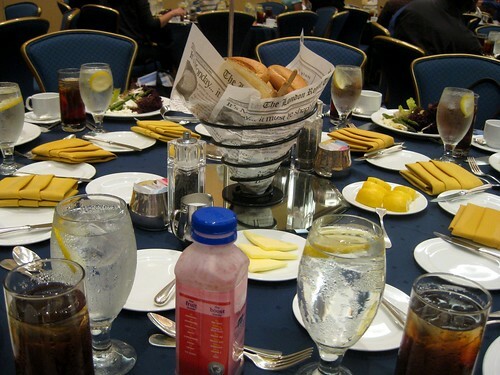 The food alone looks amazing, let alone the adventure of a hotel room by yourself and seeing Baltimore. It sound like the talks were interesting, too. jenna!!! i miss you. i'm sure you are busy getting ready for your wedding. :) please blog more!! hug. Sounds like an awesome conference and I bet a lot of what you learned can be applicable to blogging as well! That food looks AMAZING. 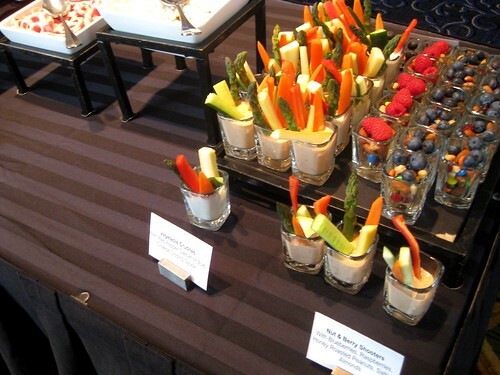 Better even than most of what you get at food blogging conferences!